Please note: others are trying to duplicate our parts and kits here as these are very successful. If you find a part or kit for less, or that is different in any way that you would prefer, please let us know and we will not only price match, but we can also duplicate that same kit! WARNING Please click here and read and understand this fully before ordering parts or clusters! Own an EVO MR and want to swap out the weak 6-Speed transmission with the much stronger 5-Spee.. 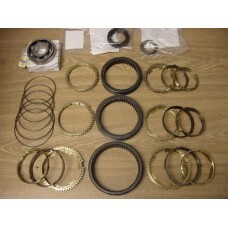 This EVO 6 transmission rebuild kit includes all of the parts needed to properly repair grindin.. This EVO 7 transmission rebuild kit includes all of the parts needed to properly repair grinding syn.. 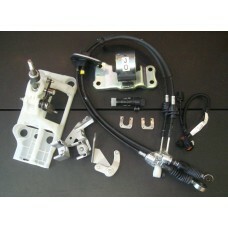 Transmission Rebuild Kit for your EVO 8-9 includes all of the parts needed to properly repair grindi.. 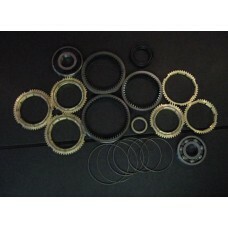 This Synchro Kit includes all of the forward gear synchronizers for the EVO 4-7 5-Speed transmission.. 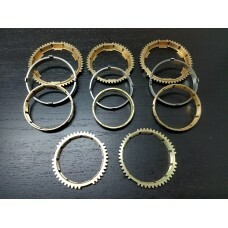 This Synchro Kit includes all of the forward gear synchronizers for the EVO 8-9 5-Speed transmission..